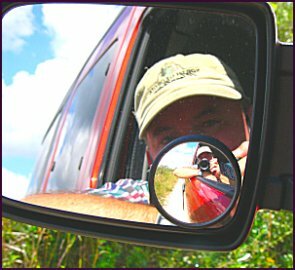 On a unpaved road somewhere in the Big Cypress north of Tamiami Trail in Florida, I stopped to photograph birds and draganflies. While I sat in the car waiting for my wife to finish up a shot, I saw this opportunity to take two photos of myself. I took it.